If you dream of a Paris wedding, or you just love the vibe and culture of France, our Pink Paris table cards embody that notion with elegant flair. 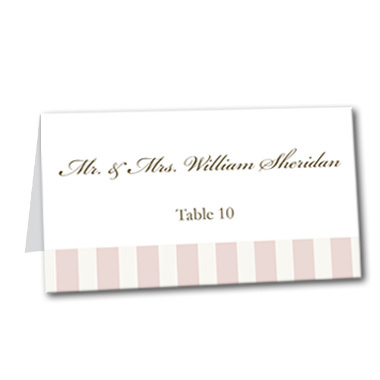 Pink stripes adorn the bottom, and your guest name and seating location is personalized above. Pink Paris Table Card For the best experience, we recommend personalizing your stationery on a desktop computer.